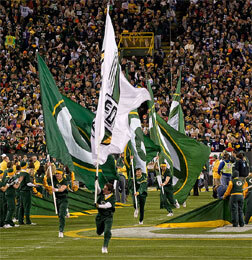 Green Bay is commonly known as TitleTown because of the Green Bay Packers’ twelve NFL titles. In fact, the Green Bay Chamber of Commerce uses "TitleTown" in their web address. Additionally, the city of Green Bay is a beautiful place that is known throughout the world and draws many tourists and sports fans every year. In addition to the cheese hats commonly associated with opening kick offs of football games, the city is also known for the many Green Bay lawyers who practice there. These attorneys are skilled in many areas of law including personal injury, insurance, divorce, tax, commercial, entertainment, employment, and more. The Diocese of Green Bay was recently named in a civil suit that alleges fraud on the part of the Diocese in relation to the sexual abuse of a former priest. Although the former priest is now serving prison time, the sexual abuse victims are suing the Green Bay Diocese because they allege that it retained important documents from the investigation. This allegation of fraud against the Green Bay Diocese was challenged, but the court hearing the case allowed the lawsuit to proceed. Green Bay is served by two types of trial courts, one federal and the other state. The United States District Court for the Eastern District of Wisconsin sits in Green Bay, and the Brown County Circuit Court, which is also in Green Bay. Between these two courts, there are many judges which your case may be in front of. Having a lawyer on your side who has experience with the judge assigned to your case can be a significant advantage. Finding the right Green Bay lawyer for your case can be difficult. Between sifting through misleading advertisements and countless pages in phone books, a lot of time can be wasted. LegalMatch is here to make sure that you do not waste your valuable time in a fruitless search. After submitting your case through our confidential system, local attorneys will contact you and suggest various ways of proceeding with your lawsuit. From there, how you proceed is up to you and there is no pressure to hire any of the legal professionals who respond to your posting.